Influenza vaccination is widely used in transplant recipients, but there is little known about the significance and correlating factors of its effectiveness. In the current study, we reviewed the existing literature on clinical trials performed in transplant recipients on the effectiveness of influenza vaccination and to evaluate the relevance of the type of immunosuppression employed in these patients on the humoral reaction to the vaccine. A comprehensive search of the literature was performed through Pubmed and Google Scholar to find reports indicating immunogenicity of influenza vaccination in transplant patients. Finally, data from 15 published clinical trials were included in the meta-analysis. Data of 947 transplant recipients retrieved from 15 clinical trials investigating the immunogenicity of influenza vaccination were analyzed in this meta-analysis. Analysis showed significantly lower rates of sero-conversion among transplant recipients receiving mycophenolate mofetil (MMF) than other immunosuppressive agents (relative risk: 0.724; 95% confidence interval: 0.596-0.880; P = 0.001). No significant correlation was found with tacrolimus, sirolimus, cyclosporine and azathioprine. Different immunosuppressive agents seem to have different effects on the humoral response rate to influenza vaccination, with MMF having the most significant deleterious effect. The limited and controversial data available in the literature do not support any differential effect for other immunosuppressive agents. Vascular complications arise in uremic patients in the absence of clinically significant atherosclerotic disease. Elevated serum parathyroid hormone (PTH) and abnormal calcium (Ca) and phosphorus (P) balance have been implicated in vascular damage in chronic kidney disease (CKD) patients, but there is lack of histo-pathological studies. Patients with CKD stage 5 and 5D who underwent arterio-venous fistula were included in this study. Baseline and laboratory parameters including assessment of total cholesterol, high-density lipoprotein cholesterol, low-density lipoprotein cholesterol, triglycerides, uric acid, albumin, calcium, phosphorus, intact PTH (iPTH) and vitamin D level were documented. The specimens of the arterial wall were obtained during the procedure and were analyzed. Patients were divided into two groups iPTH <400 (Group A) and iPTH >400 (Group B). Mean intimal thickness (IT) was significantly high in patients of Group B (60.4 ± 24.1 μ m) as compared with patients of Group A (37.8 ± 14.9 μm) (P = 0.003). Vascular calcification was comparable in both groups. The iPTH level was found to be an independent risk factor for high intima thickness (correlation coefficient 0.653) (P-value <0.01). Patients with high (≥400 pg/mL) iPTH have 8.93 times the risk of developing intimal thickness of ≥60 μ m as compared with patients with low (<400 pg/mL) iPTH (P-value <0.05), with 95% confidence interval of 1.27, 62.61. The mean IT of the radial artery significantly correlated with the iPTH level, while vascular calcification was independent of the iPTH level. Hyperparathyroidism is an important cause of ongoing vascular damage and may contribute to higher vascular events in CKD patients. Uremic pruritus is a difficult symptom in chronic hemodialysis (HD) patients, and its patho-physiological mechanism remains unknown. 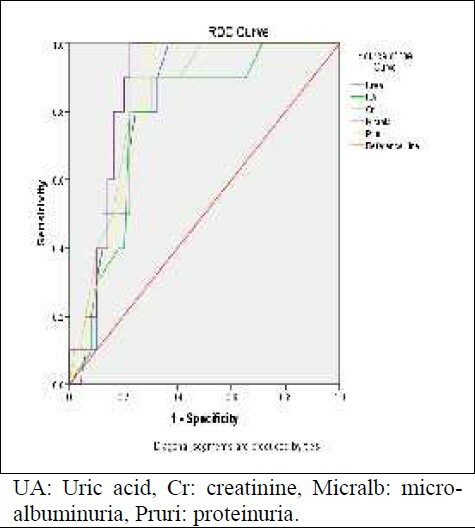 To determine the relationship between pruritus and C-reactive protein as well as dialysis adequacy among the HD patients, we studied 241 chronic HD patients in Shiraz dialysis centers, Iran. The patients were selected by convenient sampling and the data were collected using a checklist, interview and lab tests. The mean age of our patients was 53.9 ± 16.3 years and 128 (53.1%) of them were male. There were 97 (40.2%) patients who complained of pruritus. A significant association was found between high-sensitive C-reactive protein and pruritus (P = 0.004). Also, a significant positive relationship was observed between pruritus and dialysis adequacy (P <0.001). Our results suggested a correlation between the inflammatory reaction and pruritus. Furthermore, a positive correlation was found between dialysis adequacy and pruritus. A better understanding of the factors implicated in the cause of uremic pruritus is essential in the development of more-effective treatments and improved quality of life in HD patients. Intradialytic hypotension (IDH) is a life-threatening condition. We evaluated the feasibility of blood volume monitoring (BVM) and blood temperature monitoring (BTM) in preventing IDH in patients prone to the same. Fourteen hemodynamically unstable end-stage renal disease patients who were prone to IDH and unable to achieve dry weight were given BVM treatment twice weekly for two weeks. Forty patients who were not on BVM treatment served as controls. Patients were anemic, had low serum albumin (3.4 ± 0.43 g/dL) and fluid overload and were edematous. Of the 40 patients in the control group, 18 patients experienced IDH and dialysis had to be terminated. The incidence of IDH was 5% in the control group. In the BVM group, the total volume of fluid removed during hemodialysis was between 2.0 and 4.5 L (mean 3.2 L). By the end of dialysis, the hemo-concentration increased by 34.8%. With use of BVM and BTM, the blood pressure did not drop below 120/80 mm Hg, the dialysis sessions were uneventful and none of the patients suffered symptoms of hypotension. There was a difference of 3 kg between weight achieved and dry weight of the patient, although there was a 14.2% reduction in extracellular water (ECW), 14.5% in plasma fluid and 14.5% decrease in interstitial fluid. Blood volume significantly correlated with post-dialysis intracellular water (ICW) (r = 0.722, P = 0.008) and ECW/ICW ratio (r = 0.698, P = 0.012). There was a significant correlation between systolic blood pressure and ECW (r = 0.615, P = 0.033). Diastolic blood pressure significantly correlated with post-dialysis ECW (r = 0.690, P = 0.008), plasma fluid post-dialysis (r = 0.632, P = 0.027) and interstitial fluid (r = 0.604, P = 0.038). The ECW/ICW ratio was high (1.13 ± 0.48; control 0.74), implying overhydration and expanded extracellular fluid. BVM should be included in the dialysis protocol where patient compliance to maintenance hemodialysis is poor and patients are constantly in volume overload. Autosomal dominant polycystic kidney disease (ADPKD) is the most common inherited renal disease, with 50-75% of these patients requiring renal replacement therapy (RRT). The outcome of peritoneal dialysis (PD) in ADPKD with end-disease renal disease (ESRD) is not clearly defined, more so in developing countries. We conducted a retrospective analysis of the outcomes and economics of PD in these ESRD patients and compared them with other causes of ESRD on PD. Data were reviewed of all the PD patients who were followed-up at our institute from January 2007 to December 2011. The inclusion criteria were ADPKD patients who chose PD as the dialysis modality (Group 1), while age and gender-matched ESRD (other than ADPKD) patients who were started on PD during the same period were considered as the other group (Group 2). A total of 26 ADPKD patients underwent PD with an average size of kidneys among ADPKD ESRD patients of 15.2 + 2.1 cm. The overall peritonitis rates were similar among the compared groups. The median survival for the first peritonitis episodes were 1.2 and 1.8 years (95% confidence interval 0.82-1.91) for the control and ADPKD groups, respectively. The overall patient survival was 22 among PKD while five patients died among the control group. 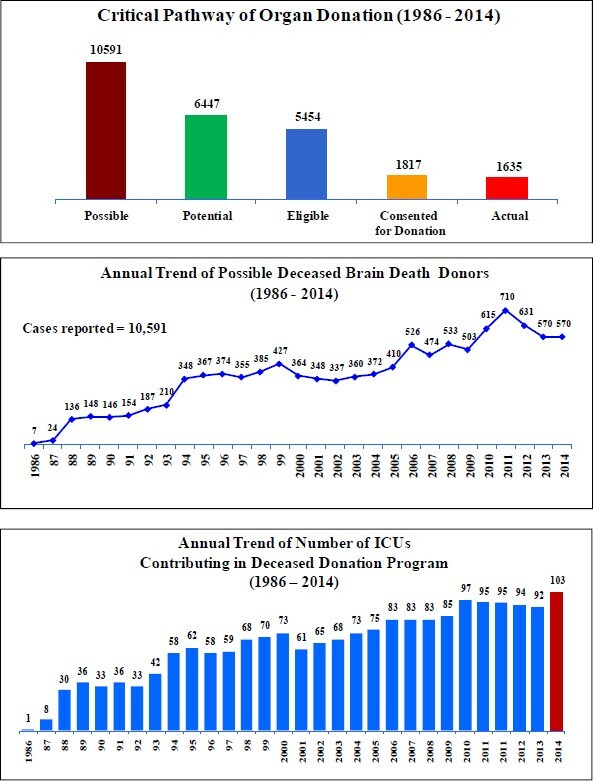 Among PKD, one patient died due to intra-cerebral bleed while one patient had severe cyst hemorrhage and infection, while three others had peritonitis and sepsis. 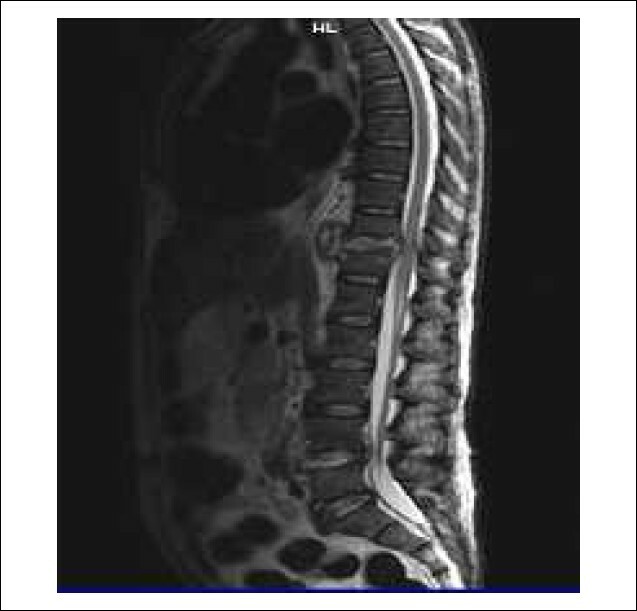 Hernia was observed in four ADPKD patients, once on PD that was surgically corrected and PD was resumed in all. Two patients lost the catheter due to peritonitis while one patient had membrane failure while one underwent surgical exploration due to diverticulosis. PD treatment was not prevented by voluminous kidneys in any of these patients and no patient ceased PD treatment due to insufficient peritoneal space. Besides this, the cost on PD was much less as compared with that on hemodialysis (HD). PD is a reasonable mode of RRT among ADPKD, where HD is not possible or contraindicated with lesser risks to bleeding and infections, and the cost benefit favoring PD in general. Patients with chronic kidney disease (CKD) in their middle adulthood are more prone to reduced mobility than younger patients having the same medical condition. Progressive resistive exercise training (PRT) is deemed an effective treatment approach for the management of muscular weakness in patients with CKD. The present review is an attempt to understand the effectiveness of PRT in the mobility and functional ability of patients suffering from CKD. We systematically searched electronic databases, including Medline, Scopus, PubMed, CINAHL, PEDRo and Cochrane, to review the published literature on this subject. Electronic searches were limited to training programs carried out on resistive, aerobic, endurance and therapeutic exercises reporting outcome measures including muscular strength, size, physical function and functional capacity in the clinical population with CKD aged >40 years. Studies with a minimum duration of eight weeks of exercise training or more were considered eligible for review. The methodological criteria of the included studies were assessed with the PEDro scale. A total of 80 articles were identified using the keywords in the above-mentioned databases. However, based on the study's inclusion and exclusion criteria, only 11 articles were finally included. The results of this review substantiate the effectiveness of PRT in patients with CKD. However, further research is warranted in this area due to the limited availability of high-quality published evidence. The objective of this study is to determine the prevalence of peripheral vascular disease (PVD) in patients with chronic kidney disease (CKD). Seventy-two patients with CKD stage 3 or above were included in this study. Blood samples were taken from each patient to determine complete blood counts, serum albumin, electrolytes, lipid profile and blood sugar random/fasting. The glomerular filtration rate (GFR) was estimated with the Cockcroft-Gault formula. The ankle-brachial index (ABI) was determined to identify the presence of PVD. 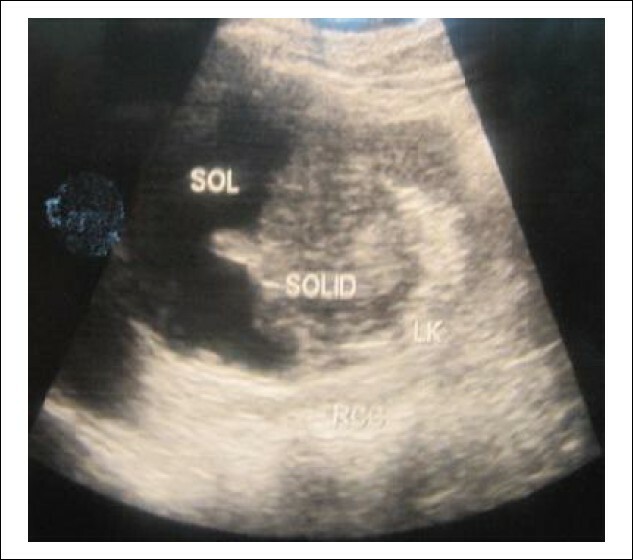 A standardized Doppler ultrasound device was used. 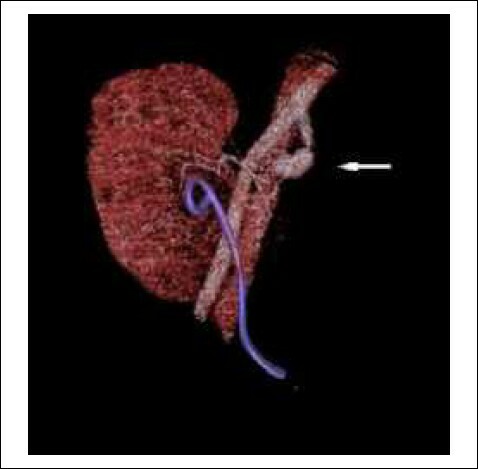 ABI of <0.90 was considered diagnostic of PVD. The mean age of the patients was 53.22 ± 12.8 years. Forty-six patients (63.9%) were male. Twenty-five patients (34.7%) were in stage 3 CKD, 20 patients (27.8%) were in stage 4 CKD and 27 patients (37.5%) were in stage 5 CKD. Twenty patients (27.8%) had an ABI <0.9 and hence had PVD. Of these patients, 13 (18.1%) had mild to moderate PVD with ABI of 0.41-0.90 and seven (9.7%) had severe PVD with ABI of 0.00-0.40. All the baseline parameters including systolic blood pressure (BP), diastolic BP, height, weight, body mass index, GFR, hemoglobin, total blood count, platelets, triglycerides, high-density lipoprotein, low-density lipoprotein and uric acid were not significantly different between patients with and without PVD (P >0.05). However, the mean total cholesterol was significantly higher among patients with PVD. The prevalence of PVD was significantly high in patients with stage 5 CKD (P <0.05). PVD is frequent among patients with CKD based on the ABI as measured by Doppler ultrasound. 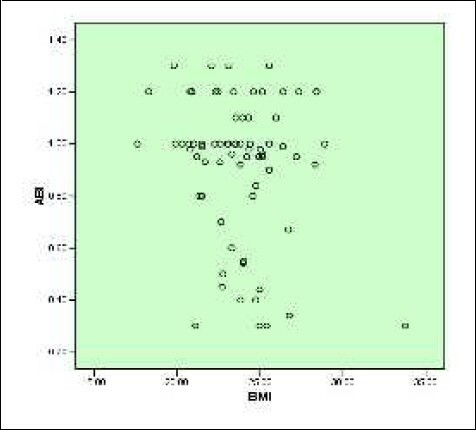 To determine the prevalence of metabolic syndrome (MS) in chronic kidney disease (CKD) patients as well as its effects on the progression of CKD, we conducted a prospective, longitudinal study including 180 patients with chronic renal failure followed at the outpatient service of Nephrology at the Saloul's University Hospital of Sousse (Tunisia) over six months. Our study population consisted of 101 men and 79 women. Chronic glomerulonephritis (36.6%) was the most frequent nephropathy. The mean serum creatinine was 249 ± 200 mmol/L and the mean estimated glomerular filtration rate (eGFR) was 55.8 ± 49.2 mL/min. Cardiovascular (CV) impairment was found in 27.2% of the patients. The prevalence of MS was 42.2%. Women had significantly more abdominal obesity than men. Subjects with MS were significantly older and predominantly females who had higher blood pressure and body mass index (BMI). CV complications were more frequent among the MS subjects than among the controls. Glycemia, triglycerides, total cholesterol and low-density lipoprotein-cholesterol (LDL-c) were significantly higher in the group of CKD patients with MS. However, the occurrence of MS was not influenced by the nature of nephropathy, the degree of the CKD and the use of renin-angiotensin blockers or statins. 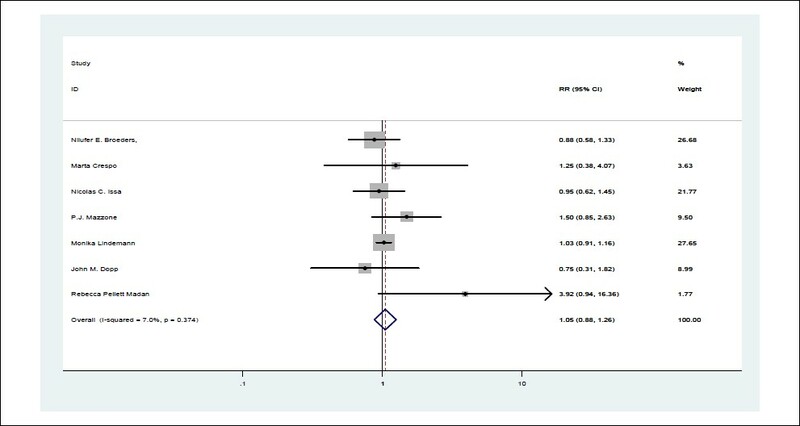 In multivariate analysis, predictors of occurrence of MS in our series included older age, female gender and higher BMI and LDL-c levels. The prevalence of MS in patients with CKD is higher than the general population. These patients should receive special multidisciplinary care to limit CV complications. To assess the role of microalbuminuria in pre-eclampsia (PE) as a diagnostic marker, we studied 40 PE cases and 40 normotensive controls at 24 ± 4 weeks of gestation in women 20-35 years of age. The patients with PE had significant microalbuminuria in comparison with the controls, in addition to deranged renal function tests. The receiver operating characteristic curve showed that microalbuminuria had the highest sensitivity (100%) and good specificity (77.6%). Microalbuminuria had the highest area under the curve (0.869) for both diagnosis of PE and renal function assessment. Microalbuminuria also had a good correlation with systolic blood pressure in the cases with mild grades of renal dysfunction. Microalbuminuria is a specific marker in PE and it also helps to assess the renal function status. Therefore, microalbuminuria may be used in the early diagnosis and management of PE patients in order to reduce the immediate and long-term complications. Urinary tract infection (UTI) is one of the most common bacterial infections. Maternal UTI is a risk factor for neonatal UTI. The aim of the present study was to determine the severity of renal inflammation in neonate rats born from mothers with induced UTI. Twelve pregnant rats (Sprague-Dawley) were included in study. The rats were divided into two groups (six rats in each group). In the first group, pyelonephritis was induced in the third trimester of pregnancy and the second group was used as a control group. After delivery, the neonates were divided into three groups based on days after birth (the 1 st, 3 rd and 7 th days after birth). In each group, two neonates of each mother were killed and a midline abdominal incision was made and both kidneys were aseptically removed. On the 7 th day, rat mothers were killed and their kidneys were removed. The preparations were evaluated with a bright field microscope for inflammatory response. Renal pathology showed inflammation in all UTI-induced mothers, but only two cases of neonates (2.1%) showed inflammation in the renal parenchyma. There was no relation between the positive renal culture and the pathological changes. We conclude that neonates with UTI born to UTI-induced mothers showed a lesser inflammatory response. Statins are a class of drug that can efficiently reduce the level of low-density lipoprotein (LDL) as well as increase the LDL receptors. Several non-lipid-lowering effects of this type of drug have been described. It is reported that they have an influence in preventing graft rejection, especially of the acute type. In this study, patients with end-stage renal disease and candidates for kidney transplantation were divided into two groups. Group A (intervention group) received atorvastatin for two weeks prior to their transplant surgery while group B (control group) received placebo. The lipid profile was tested (triglycerides, cholesterol, LDL) in all patients two weeks before the transplantation. After transplantation, drug use was stopped. 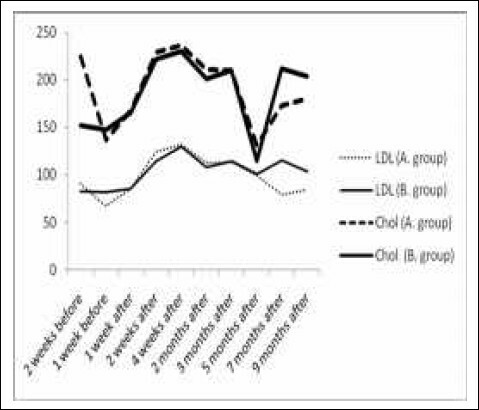 We also checked the LDL serum levels in patients with raised lipid levels (LDL >100) every two weeks. After this period, the serum lipid levels were checked monthly up to six months. Hyperlipidemia, when present, was controlled by fibrates. Concerning the rejection episodes, there was no significant difference between the two groups. In group A (13 men and nine women), three (14.3%) cases of rejection were observed whereas four (21.3%) cases of rejection were seen in group B (11 men and 10 women) (P = 0.5). Within group A, five (22.7%) cases of delayed graft function were found while four (19%) similar cases were observed in group B (P = 0.7). There was no statistically significant difference concerning delayed graft function between the two groups. Despite all the mechanisms attributed to the probable anti-rejection properties of statins, we found no significant correlation with the administration of these drugs before transplantation and the protection against graft rejection episodes. The aim of our study is to evaluate the role of pyridium (phenazopyridine) in the early bedside differential diagnosis of urine leak and lymphorrhea. Twenty-five kidney recipients (15 males and ten females, aged between 14 and 62 years) with persisting post-operative fluid drainage from the drain for more than two weeks were enrolled in this study. Creatinine and urea of three samples, namely serum, urine and the drain fluid, were measured. A single dose of 300 mg of pyridium (phenazopyridine) was then administered to all patients. One physician and one nurse who were unaware of the aim of the study checked and evaluated the color of the samples of urine and drain fluid of each patient. In seven patients, the level of creatinine in the urine and drain fluid was similar and in them the color of both samples became orange to red, indicating urine leak from the ureteric anstomotic site. The remainder of the 18 patients did not show any changes in the drain fluid color and the level of creatinine was nearly same in the serum and drain fluid. In a kidney transplant recipient, pyridium can be used as an easy, safe and easily available indicator for diagnosing urine leak in the drain fluid. There is an increasing need for renal replacement therapy due to the growing number of cases with chronic kidney disease leading to end-stage renal disease. Two modalities of dialysis available are hemodialysis (HD) and peritoneal dialysis (PD). In this study, we aimed to compare the financial aspects of HD with PD. A total of 53 patients on HD and 43 patients on PD were included in the study and were assessed for several financial aspects of dialysis. The data collected were analyzed using SPSS-18. A statistically significant difference was noted between the HD and PD groups in the need for diagnostic tests, drugs, hospitalization, etc, with PD being less expensive. We strongly suggest physicians in our area to use PD on a larger number of patients for better financial outcome. Cholesterol crystal emboli (CCE) syndrome involving native kidneys is an underdiagnosed condition. CCE is rare in renal allografts. It may present with acute kidney injury, but usually not acute graft loss. CCE should be considered in patients with a history of atherosclerosis and an invasive arterial procedure who present with acute or chronic renal allograft dysfunction. Therapy for CCE is mainly supportive and carries a high rate of mortality. To the best of our knowledge, this is the first reported case of a patient who lost his native kidneys and renal allograft due to CCE arising from his own vasculature. We report a rare case of primary renal allograft dysfunction due to myeloma cast nephropathy in a patient with no overt clinical features of multiple myeloma preceding his transplantation. A 45-year-old man on hemodialysis for six months for end-stage kidney disease due to presumed chronic glomerulonephritis developed immediate graft dysfunction post-transplantation. 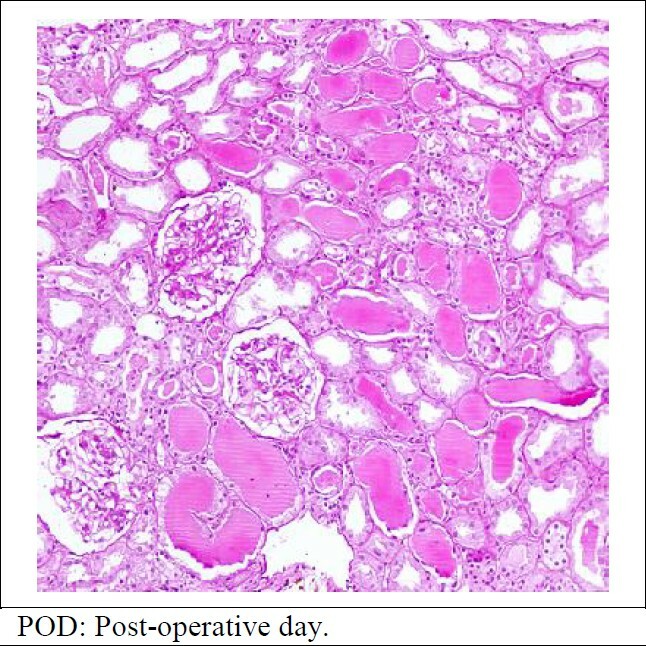 The graft biopsy was diagnostic of myeloma cast nephropathy. Other criteria for lambda light chain multiple myeloma were fulfilled with immunofixation electrophoresis and bone marrow biopsy. He was treated with plasmapheresis, bortezomib and high-dose dexamethasone. However, the patient succumbed to septicemia on the 37 th post-operative day. This is probably the first report of primary renal allograft dysfunction due to myeloma cast nephropathy diagnosed within the first week posttransplanation in a patient with unrecognized multiple myeloma. Secondary hyperparathyroidism (SHPT) is a common problem in patients with end-stage renal disease. In cases with severe and resistant SHPT, surgical parathyroidectomy (PTX) is recommended. Hungry bone syndrome (HBS) following surgical PTX is most often associated with hypocalcemia and hypophosphatemia. The mechanisms for the HBS are not clear, and a method for its prevention has not been established. We present three hemodialysis patients with persistant hypophosphatemia after PTX. In our parathyroidectomized patients, hypocalcemia could be corrected with calcium and vitamin D treatment, but hypophosphatemia continued for eight months in one patient and in two other patients until the last visit (10 and 2 months, respectively). Predisposing factors such as old age, diabetes mellitus and parathyroid adenoma were not found in our patients. All three patients were younger (<35 years old) and anuric. Hemodialysis durations were seven, three and two years. In summary, HBS presented with hypocalcemia, and especially hypophosphatemia cannot be developed uncommonly and may persist for a long time following PTX in HD patients. A middle-aged female patient with a past history of non-alcoholic liver disease and hypothyroidism presented with swelling of the body, off and on, for six months and rapidly worsening renal function. 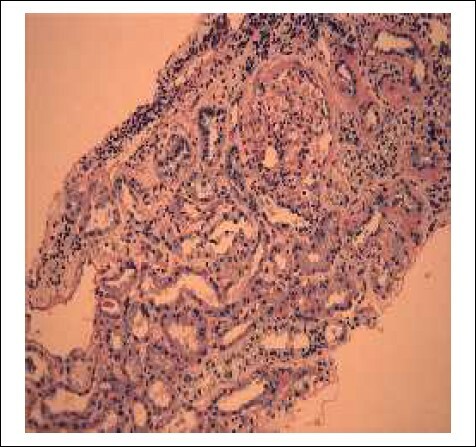 Renal biopsy showed crescentic glomerulonephritis with negative immunofluorescence. Serological tests were positive for anti-thyroglobulin, anti-nuclear antibody (1:80), p-anti-neutrophil cytoplasmic antibodies; gamma globulin was 5.23 g/dL and viral markers were negative. The patient was diagnosed to have autoimmune hepatitis type-1 and treated with injection methylprednisolone pulse (500 mg/day for 3 days) and maintained on oral steroids and azathioprine 100 mg. She responded dramatically to this treatment and has remained in complete remission at last follow-up. 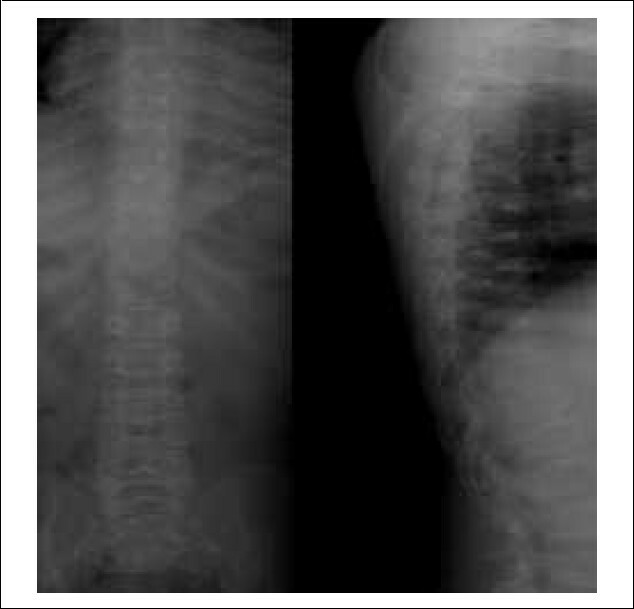 Schimke immune-osseous dysplasia (SIOD) is a rare autosomal recessive disorder characterized by spondylo-epiphyseal dysplasia (SED), progressive renal insufficiency beginning as steroid-resistant nephrotic syndrome (SRNS) and defective cellular immunity. This article reports a case from Egypt with a mild form of SIOD. A 14.5-year-old male patient presented with disproportionate short stature, SRNS (focal and segmental glomerulosclerosis), laboratory evidence of cellular immune deficiency and radiologic characteristics of SED. He died at the age of 16.5 years with bone marrow failure and severe pneumonia. To the best of our knowledge, this is the first case of SIOD to be reported from Egypt. 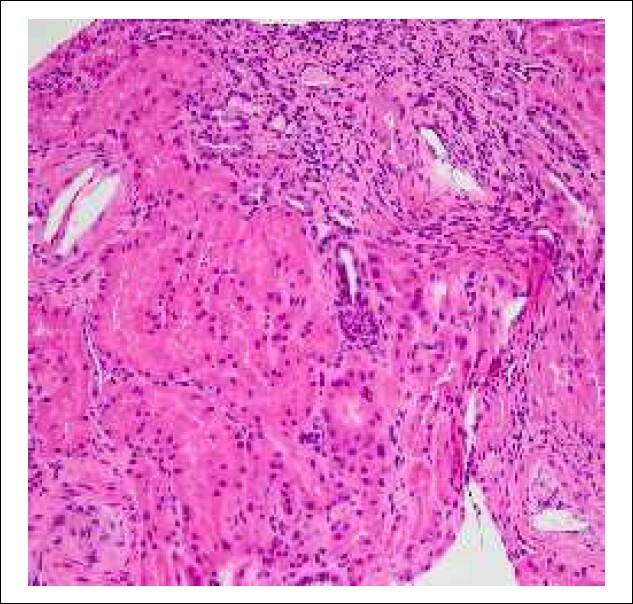 Castleman disease (CD) is a neoplasm that presents with single or multiple lymphadenopathy. The disease is characterized by fever, weight loss, anemia, polyclonal hyperglobulinemia, splenomegaly, thrombocytosis and peripheral lymphadenopathy. In this paper, we report a young man with plasmacytic type CD and amyloid A (AA) deposition who presented with intra-abdominal mass and nephrotic syndrome. 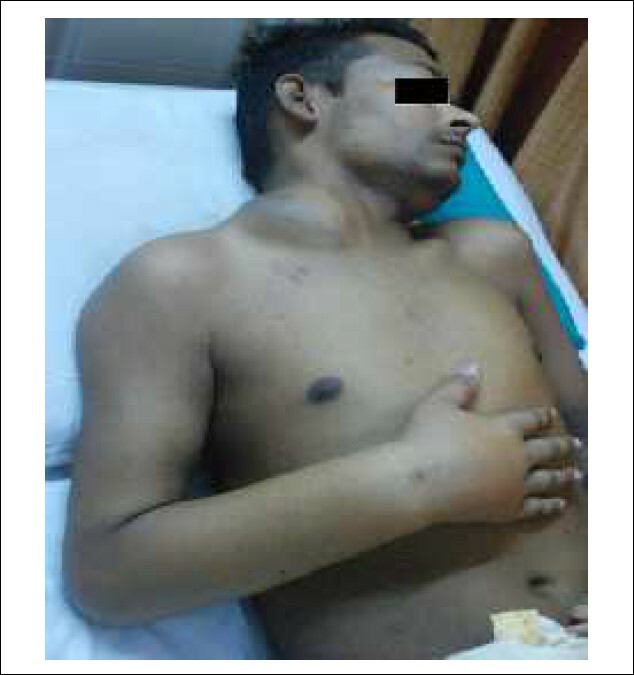 He was successfully treated with colchicine following surgery. Primary synovial sarcoma (SS) of the kidney is a very rare disease as well as a diagnostic dilemma. 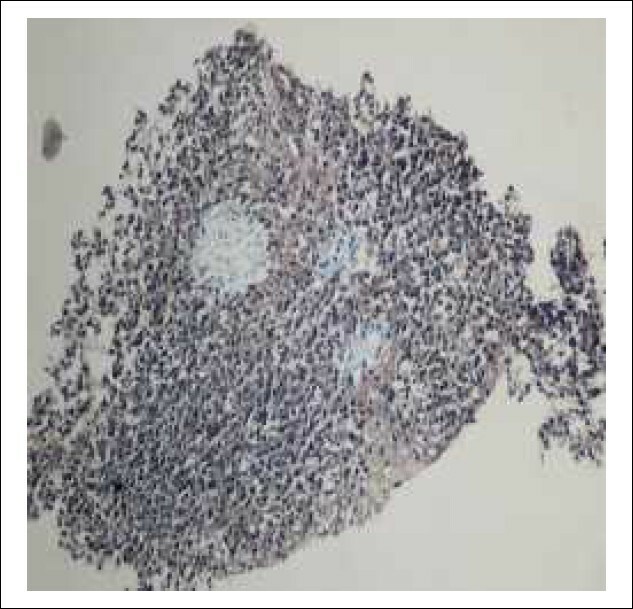 Here, we present a case of a 60-year-old male clinically diagnosed as renal cell carcinoma. The radical nephrectomy specimen showed a well-circumscribed renal mass of approximately 13 cm × 9 cm × 7 cm. The cut-surface of the mass was tawny and firm, with cystic areas, and also showed focal hemorrhage and necrosis. Histologically, the tumor was composed of spindle cells arranged in the intersecting fascicles, alternating with hypocellular areas suggestive of monophasic synovial sarcoma. 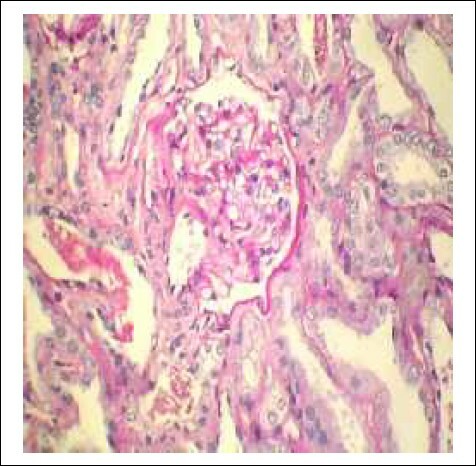 Morphological and immunohistochemical features were compatible with the diagnosis of SS of the kidney. According to estimates, the dialysis prevalence in Abu Dhabi is around 370 per million population. The annual growth is 12-15% and the dialysis population is likely to double in the next five years. Most patients present to dialysis as an emergency and only 2.7% have an arteriovenous fistula at the first dialysis. The prevalence of chronic kidney disease (CKD) in the Emirate is undefined. A study of the epidemiology of CKD and referral patterns was undertaken. SEHA, the Abu Dhabi Health Service delivery company, has a unified computer system containing all measurements made in its laboratories. 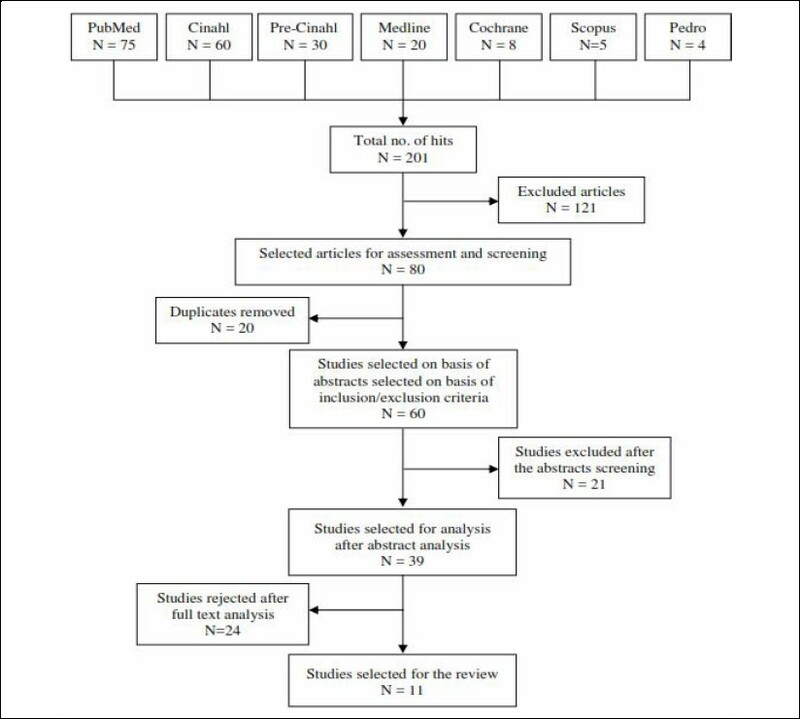 This study considered all serum creatinine measurements performed between 1 September 2011 and 31 October 2012 from outpatient departments or emergency rooms. The estimated glomerular filtration rate (eGRF) was calculated using the Modification of Diet in Renal Disease formula (the Schwartz formula was used for children). We identified 331,360 samples from 212,314 individuals. The mean serum creatinine was 61 ± 48 μmol/L in females (59 ± 43 μmol/L in Emiratis, 63 ± 54 μmol/L in expatriates) and 87 ± 69 μmol/L in males (80 ± 59 μmol/L in Emiratis, 92 ± 74 μmol/L in expatriates). Among Emiratis, 4.6% of males and 2.8% of females had an eGFR between CKD 3 and 5. 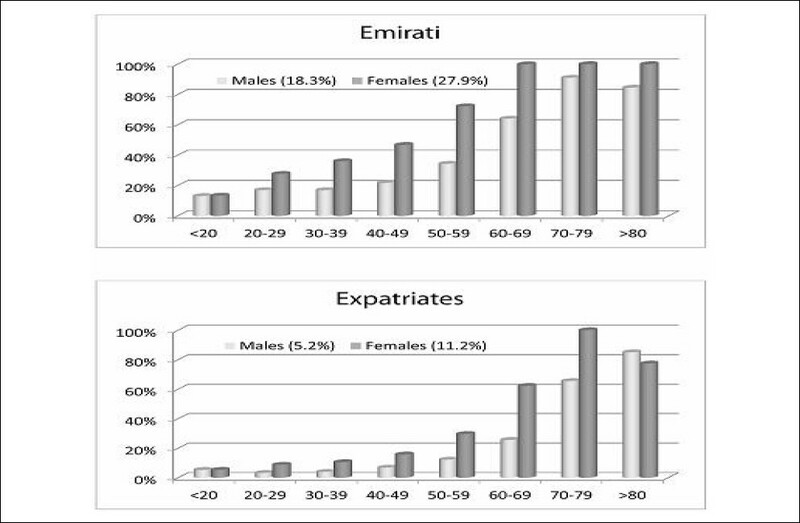 Among expatriates, 4.2% of males and 3.2% of females had an eGFR between CKD 3 and 5. On average, eight months elapsed before a patient with CKD 3, and three months for a patient in CKD 5, to attend the nephrology clinic. This study has defined the prevalence of CKD within Abu Dhabi and demonstrated the need to improve identification and referral of CKD patients. Possible solutions include campaigns to increase public and physician awareness of CKD. Type 2 diabetes mellitus (T2DM) is associated with an increased risk of progression toward end-stage renal disease and cardiovascular (CV) risk mortality. To investigate this association, we studied 637 patients with T2DM in the Eastern area of Morocco. The mean follow-up period was 42 ± 11 months. At the baseline visit, 22.8%, 59.1% and 18.1% of the patients had normo-albuminuria, micro-albuminuria and macro-albuminuria, respectively. Of all patients, 51.6% had a history of hypertension and 37.4% had hypertension on admission. At the end of follow-up, rapid progression (estimated glomerular filtration rate >5 mL/min/1.73 m 2 /year) was observed in 24.1% of the cases and the frequency of occurrence of CV events was 5%, 18.5% and 32.5% in the normo-, micro- and macro-albuminuria groups, respectively (P <0.001). In multivariate analysis, arterial hypertension was identified as an independent risk factor related to diabetic kidney disease (DKD, P = 0.04) and occurrence of CV events (P = 0.02), while albuminuria was not identified as an independent risk factor, either for DKD or for the occurrence of CV events. Our study found that hypertension was an independent risk factor for the DKD and the occurrence of the CV events in T2DM patients. Epidemiological studies on renal biopsies are necessary to establish the pattern and trends of renal diseases in a particular geographic area. 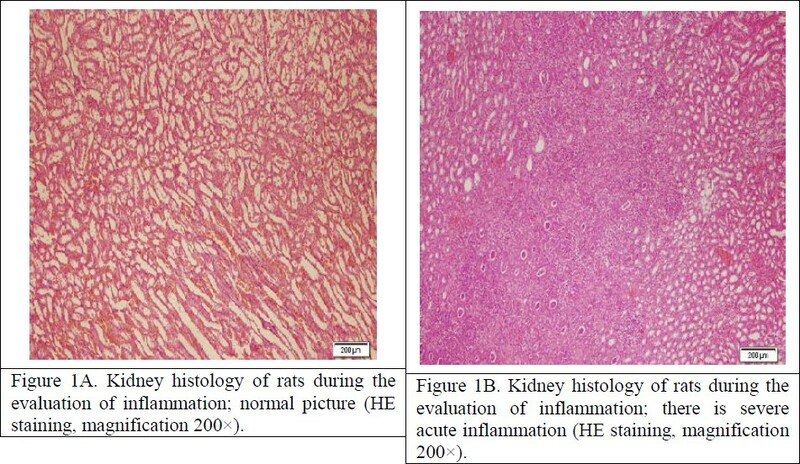 In this retrospective study, we reviewed the medical records, histopathology findings and complications of renal biopsy in a region of Morocco. 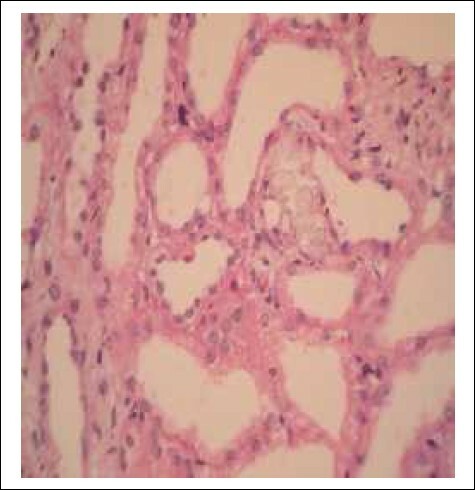 We studied a total of 130 native kidney biopsies taken between January 2008 and January 2012. All biopsies were examined by light microscopy and immunofluorescence microscopy. There were 86 males (66.2%) and 44 females (33.8%), with a mean patient age of 44.82 ± 17.86 (range 8-86) years. The most common indications of renal biopsy was nephritic syndrome (61.5%), followed by renal failure of unknown etiology (30.8%) and asymptomatic urinary abnormalities (5.4%). Primary glomerulonephritis (PGN) was found in 60 (46.2%) of the patients. Among the PGN cases, the most common one was membranous nephropathy (MN) (12.3%). Secondary glomerular disease (SGN) accounted for 48 (36.9%) of the cases. The most common SGN was lupus nephritis (LN) (10%). Tubulointerstitial disease [13 (10%)] and vascular disease [9 (6.9%)] were less common. The most common complications of the procedure were pain at the biopsy site in 12.3%, gross hematuria in 12.3%, perirenal hematoma in 7.7% and hematuria requiring nephrectomy in 0.8% of the patients. The most common indication for renal biopsy was nephrotic syndrome, MN was the most frequent PGN and LN was the most frequent SGN in our report. We studied the dialysis practice-patterns with regard to various aspects of chronic kidney disease (CKD) stage 5D, like anemia, mineral bone disease, vaccination, hospitalization, hypertension and cost of therapy. Four hundred and sixty-four adult hemodialysis (HD) patients from various dialysis centers of Mumbai were included in the study. The mean age of the study patients was 47.2 years. Temporary dialysis catheters were the most common initial vascular access. Thirteen percent of prevalent HD patients were on temporary catheters; 33% of patients had history of failure of arterio-venous fistula. The most common cause of failure was access thrombosis. About 75% of the patients had hemoglobin <11 g/dL and 35% had uncontrolled blood pressure. The prevalence of positive hepatitis B surface antigen and anti-hepatitis C virus antibody was 6% and 2%, respectively. The average cost of HD treatment was approximately 6100 Indian rupees (about US $100). HD is helpful in treating many of the clinical manifestations of CKD and postpones otherwise imminent death. However, dialysis treatment is no panacea to renal failure; HD patients have higher hospitalization rates and lower quality of life than the general population. The therapy itself brings with it a unique set of problems, such as vascular access-related complications, which cause significant mortality and morbidity. This study was a study of the current HD practices. The primary goal of this cross-sectional observational study is to understand dialysis practices and obtain data that can be used to improve care in the future. Immunoglobulin A (IgA) nephropathy (IgAN) is the most common biopsy-proven primary glomerular disease in the world and a major contributor to the worldwide burden of endstage renal failure, with a wide geographical variation. To determine the incidence, clinical profile and histological pattern of IgAN in our institute, we reviewed all the patients who had native kidney biopsies with the diagnosis of primary IgAN during the period from 1998 to 2009 in the context of the clinical features. A total of 116 patients with IgAN were finally analyzed; 85 (73%) of the patients were male, the mean age of the patients was 29.2 ± 12.2 (range 10-70) years and the mean duration of disease was 10.4 ± 18.7 months (median: 2 months). Hypertension was present in 74 (63.2%) cases. Gross hematuria was rare. The most common clinical presentation was nephrotic syndrome, followed by chronic renal failure. The mean proteinuria level was 2.5 ± 2.3 g/day (median: 1.7 g/day) and the mean serum creatinine level was 3.04 ± 3.3 mg/dL (median:1.7 mg/dL). The morphological sub-classification (Haas): Class I was the most common (44.4%), followed by class V (23%). IgA co-deposition with C3 and lambda was the most common finding in the immunofluorescence study. 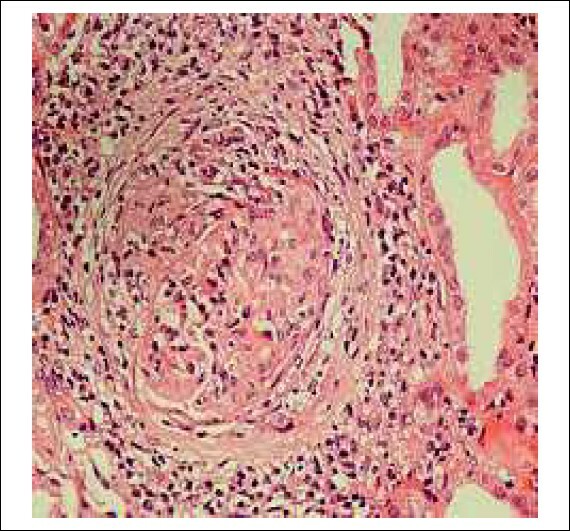 The glomerular filtration rate decreased with advanced histological damage. The incidence of IgAN was 7.5%, which is lower as compared with studies from elsewhere. IgAN in our population had a more severe clinical presentation. A three-year retrospective study was conducted to determine the incidence, pattern of presentation and other clinical and biochemical features as well as outcome of treatment of patients admitted with acute glomerulonephritis at the Delta State University Teaching Hospital, Oghara and GN Children's Clinic, Warri. The case notes of all the children who presented with renal diseases from January 2010 to December 2012 were retrieved and those with acute glomerulonephritis were analyzed. A total of 20 patients (13 male and seven female) with acute glomerulonephritis were seen during the three-year period under review. Twelve patients (60%) were from the low socioeconomic class, six (30%) from the middle class and only two (10%) were from the high-income group. The presentation of the illness was most common between October and January. The age range of the patients was three to 13 years, with an average age of eight years. Seventeen (85%) of the patients were in the school-going age group (>5 years to 10 years). The most common symptom/sign noted was anemia in 90% of the patients, followed by oliguria/anuria and edema seen in 80% of the patients. Seventy percent of the patients had cola-colored urine, while 55% had hypertension. Some patients gave a history suggestive of previous streptococcal infection. More patients had sore throat (25%) than skin infection (10%). All the patients had proteinuria, while 90% had hematuria. The most common complication was acute kidney injury, seen in eight (40%) of the patients, followed by hypertensive encephalopathy, which occurred in three (15%) patients. Most patients (60%) were hospitalized for one to two weeks. The outcome of the management of these patients showed 14 (70%) of the patients recovered fully while three (15%) had persistent hematuria and two (10%) had persistent proteinuria. Ninety-five percent of the patients recovered from the acute illness and one patient (5%), a boy aged nine years old, died.